This week marks Diabetes Awareness Week and nationally there has been a call for urgent action to tackle the burden of this disease which is contributing to 4,400 amputations each year for people with diabetes. 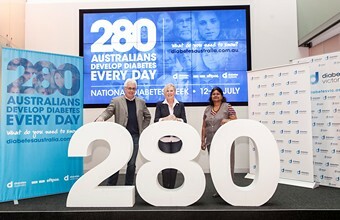 Speaking at the launch of National Diabetes Week the chief executive of Diabetes Australia A/Professor Greg Johnson said: “Australia’s health system is struggling to manage the growing burden of chronic disease, most notably type 2 diabetes, and the fact that there are more than 4,400 diabetes-related amputations in Australia every year as a result of diabetes underlines how critical this issue is”. A/Professor Johnson called on the incoming Federal Government and the State and Territory Governments to work together to take decisive action on this national emergency. “85% of diabetes-amputations are preventable if problems are detected early and managed appropriately,” he said. 85 percent of diabetes-related amputations are preventable.